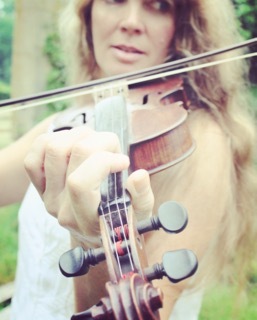 I’ve been teaching fiddle lessons since 2002, and teach students of all ages. I prefer to teach private lessons, where I can focus on the student, and customize the lesson – to find the way the student learns best… based on level and abilities. I teach the way it’s been done for hundreds of years… by ear. I offer bits of theory as we go along… as well as keys – needed for a fuller understanding of the music & tune. I keep it fun, because no one wants to practice if it’s heavy & boring. I try to keep it interesting & fun. How do I teach: I present a tune in small phrase – or chunk… and we go over it together – until the student grasps it. Then, we add the next phrase/chunk – and continue building the tune – playing it together, until the entire tune is learned & grasped well. I like to encourages my students to learn how to make the tune “their own”… and I truly believe that a tune will sound different – when it’s played each time, depending upon how ‘the fiddler’ is feeling, and I believe music – is what feelings sound like, and learning how to portray that – is key! I currently have times open in my lesson schedule… and I’m available for festival workshops as well. Interested? Send me an email – (there’s a ‘contact me’ link.) or WinterCastSnow@gmail.com Include your email address… and I’ll reply promptly & give you further details so we can get you started on learnin’ to play fiddle! Share the post "Fiddle Lessons"